An exclusive chapter from Alice Gregory's book Nodding Off: The Science of Sleep from Cradle to Grave (Bloomsbury). * Sleep requirements differ between people. Recommendations provided in the chapters on children and adolescents (aged 0–18) are based on experts reviewing research on sleep duration and health. These recommendations have been endorsed by the American Academy of Pediatrics and the Sleep Research Society. However, some experts think that we do not yet have enough data to make precise recommendations of this type. My husband’s fixed smile might have fooled the lady poking my belly, but to my trained eye, it was more grimace-like. The waiting game was unbearable. And there was our baby, motionless, except for a slight sway, attributable to the liquor of his private pool. My stare turned to the sonographer whose stony face was unflinching while pushing, poking, clicking and measuring. As she passed me a tissue to wipe the gunk off my belly, a smile cracked through. ‘I think the baby’s sleeping! That bodes well.’ And there I could witness my beautiful son. I took some time to process my relief that the scan had revealed no problems and to soak up the delight in having seen our baby. But then the sonographer’s comment about sleep came back to me. Wasn’t it interesting that straight after checking the vital measurements of our child she had thought about his sleep? Was my area of expertise noted in my file perhaps? Maybe, maybe not, but talk of the baby sleeping in utero had already been raised by a number of people. And this was discussed even more relentlessly once our baby was born. ‘How does he sleep?’ was often the first question I was asked upon introducing him to friends, relatives and even strangers. But why this fascination with infants’ sleep? We are often oblivious to the sleeping patterns of our babies while they’re in the womb. It’s only once they’re born that it becomes an obsession and parents so often trade their own sleep for that of their babies. For me, by the time I became a mother, I’d been studying sleep as a student and professionally for almost 10 years – and at the age of 32, the equivalent of over 10 whole years of my life had been spent fast asleep. But witnessing this enigmatic process develop in my newborn son, and eventually trying to marshal when and for how long he did it, was a revelation to me. Babies sleep a lot and they also sleep very differently from adults. Careful studies of young infants have revealed how sleep is tailored to this stage of life, while also giving clues as to its elusive overall functions. The challenge for most parents is not the amount of time their babies sleep, but when they sleep. During my pregnancy I remember reading an article stating that ‘sleep consolidation occurs during the first six months of life and becomes more concentrated during the night’. What this actually meant was that as a new parent I would probably get no undisturbed sleep for six whole months: NO UNDISTURBED SLEEP FOR SIX WHOLE MONTHS! And for many, the initial six months may represent only the beginning of the all-night party. A huge international study supporting this idea involved questioning almost 30,000 parents about the sleep of their babies and toddlers. It was found that in their first couple of months, babies woke up around twice a night.3 While this might be expected, it was perhaps more sobering that even two- to three-year-olds still tended to wake up about once at night. The study confirmed what seasoned parents already know and provided scientific support for the marathon of sleep disturbance that new parents embark on. However, the circadian clock is probably causing even bigger problems, and is the reason why young babies don’t start out showing day-and-night the respect it deserves. At birth, the clock is not yet developed and so is not ticking to a 24-hour beat.5 A new baby’s wake and sleep pattern is not yet on a 24-hour cycle. Just as their visual systems and language skills need time to develop, so do their body clocks, which need to latch on to the world around them. As a result, somewhat excruciatingly for parents, it’s equally likely that sleep will occur during the day or night. In the first three months of life, the brain develops greatly and the internal clock begins to synchronise with day and night. By three months things are looking up and most sleep happens at night – although it continues to remain fragmented for some time. While much of the development is automatic, parents can help. As a baby develops, exposure to light is the most useful way to get this internal clock locked on to the world. Therefore, joining buggy-fit and getting babies out and about during the day, and investing in a blackout blind and putting them in darkness at night, is a good way to help them begin to establish the pattern of sleeping that most people desire. Other things help too. While newborn babies produce very little of their own darkness hormone melatonin, the ticking of a mother’s biological clock means that evening and night breastfeeds contain more melatonin. This hormone might provide the infant with a clue that it is time to fall asleep.6 Melatonin is released from the pineal gland in the brain when light levels are low and can tell us that it is time to fall asleep. If we think back to the master clock in the suprachiasmatic nucleus or SCN discussed earlier – it is this that controls melatonin production. Melatonin is often thought of as the sleep hormone, but that is not accurate as it can make some animals spring into action. The key feature of melatonin is that it is released at dusk rather than when we want to go to sleep, so if you are a nocturnal animal it may signal that it’s time to wake up. For the likes of you and I, assuming you are not a vampire, it is more likely to make us feel sleepy. Melatonin is therefore perhaps best referred to as the ‘darkness hormone’. It tells a creature to do what it should be doing at night. By six months, the body clock usually works pretty well and ticks away happily until adolescence, at which point sleep changes so dramatically that we could be forgiven for thinking that the battery might need replacing. As well as sleep timing, sleep stages in infants are quite different from those experienced by adults. In fact, they’re so distinct that the stages are given different names. Something approximating REM sleep is known as ‘active sleep’ in babies younger than six months. It has this name because the babies are jerky and twitchy during this stage of sleep. They breathe quickly and irregularly and make little movements and noises. The activity during this stage of sleep is quite different from the paralysis experienced by adults. In adults, the brainstem (the part of the brain connected with the spinal cord) blocks nerve impulses going to the muscles during REM sleep, causing a state of paralysis that stops us acting out our dreams. This mechanism is not yet working fully in newborn babies and is not matured until 6–12 months of age.7 Interestingly, the development of this paralysis mechanism coincides with a baby’s ability to get up to mischief. It keeps them safe when they are asleep at a time when their mobility has stepped up a gear and they have the potential to get into danger. In contrast, NREM sleep in babies is known as ‘quiet sleep’, during which they are still. Before six months, NREM sleep can’t be fully split into the stages seen so clearly later in life. For example, ‘sleep spindles’ (brief little bursts of electrical activity, characteristic of N2 sleep, mentioned in Chapter 1) don’t develop until an infant is a couple of months old, the stage at which they are typically cooing and gurgling. Slow-wave sleep, characteristic of N3 sleep, which is used to provide information about sleep homeostasis (or Captain Obvious), emerges only at about three months – the same stage of life when smiles are often abundant. Even later, at about six months, when babies are typically learning to crawl, K-complexes, another electrical hallmark of N2 sleep, are fully developed. Finally, even the order in which sleep stages are experienced differs between newborns and older humans. Instead of entering NREM before REM, babies younger than three months have a reversed pattern starting with active REM-like sleep and only later moving on to quiet NREM sleep.4 They’re reading the book back to front. Part of the reason that sleep looks so different may well be attributable to the different stages serving different functions. The fact that newborn babies spend approximately 50 per cent of their sleep in a REM-like state, whereas this is just 25 per cent by the age of two, provides us with important clues. Could it be that this type of sleep is particularly important for the developing brain?8 This makes sense given that REM-like sleep is most abundant during the life stages when brain development is at its fastest. REM sleep is greatest when the brain is most ‘plastic’ – or amenable to lasting change – and when it is forming connections at formidable rates, never to be reached again. One area that REM may facilitate is the functional development of the visual system.9 Vision is an important sense to which a huge proportion of our brain is devoted. During the earliest stages of life, babies need to make sense of the visual information in the world around them. Just think about what an accomplishment that is. They take a mass of visual stimuli – a bombardment of photons colliding with their immature retinas – and create meaning out of it. Gradually, they learn to focus on what is important and to coordinate their eyes, so that they track objects and perceive depth. Early visual experiences occur while the infant is awake. However, the effects of these experiences on the brain – when connections between neurons and between brain regions are strengthened, weakened or even eliminated – may well happen offline during REM-like sleep. While suffering the challenges of night waking, parents of young infants can be tormented further by the way their children’s sleep changes from one night to the next. Night-to- night variation can make the weather look like a paragon of stability. When a parent joyously declares that their young infant has started ‘sleeping through the night’,* [* The definition of ‘sleeping through the night’ differs dramatically between parents. Arousals during the night are normal, but many fall back to sleep straight away without much awareness of this. Furthermore, one parent may consider five consecutive hours as a full night, whereas another may expect many more consecutive hours before they consider their child to be ‘sleeping through the night’.] we have to wonder whether it will last. One night of uninterrupted sleep doesn’t mean that disturbed nights are a thing of the past, just as a ray of sunshine in March doesn’t forecast a glorious summer. Anything that can cause pain or discomfort can affect infant sleep. This translates to potentially problematic sleep for any child who has an upset stomach, headache, slight cold, earache, or arm ache from an injection, plus any kid with a wonky nappy, a Babygro that was washed with (or perhaps without) fabric conditioner, or who is placed in a room that’s a little too hot or cold for their liking. Thinking about it in that way, it seems a miracle that babies ever sleep. Just as our eating habits change day-to-day depending on our activity, we shouldn’t necessarily expect our children’s sleep quality to remain identical each night. Then there are child-by-child differences. Certain parents can’t help themselves declaring that their child ‘slept through the night’ from four weeks old (perhaps they should read How to Win Friends and Influence People?10). When I became a parent, I met a mother, Saskia. She would arrive for coffee with freshly washed hair and a breezy confidence about her new found parenting skills. She was always pleased to share her successes with me and once declared that her daughter had been sleeping through the night since she was four weeks old. Saskia claimed to be a ‘natural parent’. In contrast, another friend, Lucy, would arrive at get-togethers with coffee stains down her shirt. Lucy revealed tearfully that her life had become chaotic and she was struggling with her baby’s sleep and felt it was testing her sanity. While some of these reported differences between offspring may reflect interpretation or an enthusiasm for bragging, others may be genuine. After all, every person is unique. Whereas some children spend their time hatching genius plans to stay awake late, others can be spied trying to slope off to sleep unnoticed. I still don’t know what happened in the TV show Twin Peaks, broadcast in the early 1990s, due to my total inability (retained to this day) to stay awake late. One way that I have tried to understand differences between people in terms of their sleep, is to look at huge numbers of twins. Even if you know nothing about twin research, you will have noticed that twins come in two flavours.11 There are those who look impossibly alike, which can lead to all kinds of confusion and high jinks. Then there are the others who look so dissimilar you might fail to realise they are even related. George and Fred Weasley from Harry Potter are a good example of the former, with Arnold Schwarzenegger and Danny DeVito in the film Twins a somewhat far-fetched example of the latter. Studying these twins can tell us something about how important genes are in explaining differences between people. The logic goes like this: identical twins are genetic clones of one another. They both originate from the same single fertilised egg. They also often share the same environment in lots of ways: they have the same parents and usually live in the same house in the same neighbourhood. As they grow older they often go to the same school. Then there are non-identical twins who are also alike for the same reasons (because of their genes and because of things in their environment). The only difference is that they are not genetic clones of one another. Instead, they are the result of two eggs fertilised by different sperm. They have genes that make them different from one another (and like any other full-sibling pairs share just 50 per cent of their segregating genes, or rather those genes that explain differences between people). So, when we see that identical twins’ sleeping patterns are more similar than non-identical twins’ (as we often do) we draw the conclusion that genes are playing a role. An example of work of this type came from a team of researchers based at University College London.12 They asked the parents of twins aged 15 months old all about their sleep. Parents’ responses suggested that twins within a family had almost identical bedtimes, regardless of whether they were identical or non-identical twins. However, their responses also indicated that identical twins were more similar to one another than non-identical twins for all other aspects of sleep assessed. These included the time they woke up, their night- time sleep duration, the duration of their naps and their sleep disturbances. From this information the researchers concluded that, to varying extents, genes influenced all of these things. [In this study, genes did not help to explain variation in bedtime, but influenced other aspects of sleep (explaining from 26 per cent to 40 per cent of the variance). Heritability is a population statistic, meaning that estimates may be different when studying other populations.] So what should we do with the information that one baby may sleep better than another partly because of their genes? Celebrate! New parents can be suffocated with guilt. They wonder: ‘Is my child’s sleeplessness due to over- or under- feeding? Poor sleep practices? Parental incompetence?’ Certainly, my friend Lucy revealed concerns like these and blamed herself endlessly when her baby would not sleep. Hopefully, knowing that the genes we are born with have some influence on our sleep is one piece of information that will help to alleviate anxiety. If one child is awake more than their peers, then perhaps that’s just the way they are wired. So when accosted by someone like Saskia – regaling gleefully that their four-week-old child sleeps all night, every night – we should know that this is unlikely to reflect parental competence. Lucy and Saskia may have had very different starting points with their children. But does the finding that genes influence the way we sleep also mean that techniques can’t be used to improve sleep? If our grandparents, parents and children are all poor sleepers, could nights spent lying awake be our destiny? Not necessarily. In fact, one of the first lessons a student of behavioural genetics learns is that just because genes influence behaviour, this does not mean that nothing can be done about it. A striking example is that of phenylketonuria (or PKU). PKU is a condition caused by inheriting a certain variant of a gene from both parents. Those born with this disorder can accumulate an unusually high level of a substance called phenylalanine in their blood. Phenylalanine is found in foods such as dairy, fish and meat, and those with this disorder are unable to break it down. A build-up of phenylalanine can lead to permanent brain damage resulting in learning disabilities. It’s potentially very serious and other symptoms include behavioural difficulties as well as epilepsy. Fortunately most babies are now screened for this at birth via a heel-prick test. Knowledge of this condition allows diets to be changed in order to limit foods containing high levels of phenylalanine and, by doing this, it is possible to avoid the ill effects of this genetic condition. So, PKU may be caused by genes and addressed by environmental means. In the same way, children’s sleeplessness may be influenced by the genes that they are born with, yet resolved by behavioural interventions. From twins we have learned a lot about why sleep differs between children. And it seems that genes are important in helping to explain why some people sleep for longer than others and why some appear to have the gift of good sleep whereas others suffer terribly from disturbed slumber.13 But, what have twin studies told us about the importance of environmental influences on our sleep? These studies typically highlight that our environment is likely to be even more important than our genes in explaining differences between us in terms of our sleep. Going back to the twin study from researchers at University College London, it was found that twins are alike in terms of their sleep for reasons that are not related to their genes. In other words, aspects of their environment were making twins within a family sleep in a way that was similar to one another. So, we know that both genes and the environment are likely to have an effect on our slumber, but which genes and which aspects of the environment? To start with, which of the approximately 20,000 genes that we are born with are important? This might seem like a simple question, but it’s not currently possible to provide robust evidence about many of the genes that are important in explaining the differences between us in terms of sleep quality. To some, that sounds pretty rum and has even been considered a reason to discredit genetic research of this type. One reason for this slow progress is that so many genes are likely to be important and each typically explains only a tiny amount of what is going on. Scientists have historically searched for genes that are important in explaining differences between us without using the right tools – we’ve been carving steak with a butter knife. We’ve focused on just a handful of genes at a time. Instead, we should have been looking at the bigger picture and studying many more of the genetic differences between us, to see if these can explain why our sleep differs. We’ve also underestimated how many people are required to carry out these studies. It’s now clear that huge numbers of volunteers are needed to be able to identify genes involved in complex behaviours. Scientists just didn’t know how small the effects were that they needed to be looking for. To understand genetic influences on sleep quality, scientists might have previously obtained DNA from the equivalent number of people as those making up two football teams. If one team (let’s call it Snore City) slept well, whereas another (Insomniacs United) slept poorly, the scientists might have investigated whether a handful of genetic variants explained the difference between the two teams’ sleep. They’d ask whether a genetic variant (let’s call it ‘slumbertime’) was more common in those playing for Snore City than Insomniacs United. This is referred to as an association study. It’s now known that many of these studies were carried out on too small a scale and did not provide enough data for us to be able to detect associations. They were unable to tell us much about the genetics of sleep quality, for example. What’s more, it was hard to decide which genetic variants to focus on in these studies. Instead, we need to collect DNA from many more people than this (perhaps the tens of thousands of supporters in a stadium) so that we have more data to work with. We also need to look at genetic differences across the entire genomes of these people, rather than focusing on the slumbertime genetic variant alone. These newer studies looking at hundreds or thousands of genetic variants are known as genome-wide association studies (GWAS) and have provided information about different aspects of sleep. A GWAS meta-analysis in children aged 2–14 years old focused on sleep duration and found an association between a genetic variant on one of the 23 pairs of chromosomes called chromosome 11 and sleep duration.14 However, this was not replicated in two separate samples, suggesting that perhaps there was no true effect after all, or that the effects were too small to be detected in the smaller samples used to attempt replications. Other GWAS studies have focused on different aspects of sleep in different age groups. Research led by a team from Amsterdam examined DNA from more than 100,000 adults (some suffering from insomnia and some not) in an attempt to specify genes associated with insomnia.15 They identified seven such genes, five of which were supported by looking at the DNA of a further sample of people. In addition to increasing the scale of studies, we also need to spend more time considering the endless and sometimes daunting complexities that we now know to exist. Having certain genes may not be a problem for sleep unless we happen to have certain other genes, which when they get together cause trouble. It’s like having certain friends with whom we are more likely to get up to mischief! As well as specifying genes that might be important in sleep, lots of aspects of one’s environment have been highlighted as important too. As one example, a consistent bedtime routine might be helpful. This was examined in a study of more than 10,000 mothers of children from birth to five years of age.16 The mothers, who came from multiple countries, were asked about the activities that took place prior to lights out. They were also asked about the patterns and quality of their offspring’s sleep. Children who had a consistent bedtime routine had an earlier bedtime, took less time to fall asleep, woke up less often during the night and slept for longer overall. They also appeared to have fewer problems with their sleep and behaviour during the day. Strikingly, there was a ‘dose-response’ relationship – this means that the more often a child had a bedtime routine, the better that child slept. Although correlation does not mean causation, one possible interpretation is that a bedtime routine in place once or twice a week might be better than never, but following a routine each night might produce the most soundly sleeping children. The effects of parenting on children’s sleep is not always straightforward and there isn’t a universal solution to struggles. Consider a family where the parents put their two children (who we’ll call Amy and Bea) to bed at 7 p.m. As a natural lark and long sleeper, Amy might happily fall asleep straight away and wake up feeling refreshed in the morning. The bedtime routine would likely have a positive influence on Amy’s sleep quality. Now consider that the other child, Bea, is a natural owl and short sleeper. Bea might argue with her parents before bedtime and spend time thrashing about in bed before succumbing to sleep. This identical bedtime routine and parenting practice might have a negative influence on Bea’s sleep quality. The same parenting behaviour can affect people in different ways, as parents who have tried to sleep-train infants will know, and routines need to be tailored to the individual. Important features of the environment can include way more than the usual suspects of imposing a good routine and creating a tranquil, dark, quiet and temperate environment. Even experiences in the womb can be important. With regards to prenatal experiences, I collaborated on a study midway through the 2000s where we considered how experience in the womb might be associated with sleep problems. The study was led by the scientist Professor Tom O’Connor from the University of Rochester Medical Center in New York state. It was based on knowledge from animal models that indicate stress during pregnancy predicts sleep patterns in offspring. Seeking to see if similar rules applied to people, we asked mothers to report whether they’d suffered from anxiety or depression during their pregnancies. We then investigated if this was linked to parents’ reports of their babies’ sleep once they had been born.17 In line with what had been learnt from animals, we found that the mothers who said they’d been more anxious or depressed during pregnancy had children who were reported to wake up more during the night. This was found when the youngsters were both one and a half and two and a half years old. Interestingly, anxiety and depression during pregnancy did not seem to be associated with babies’ shut-eye when they were six months old. Perhaps this was because so many babies of that age have disturbed sleep, it was impossible to determine significant problems among other cases. Interestingly we also found that prenatal anxiety and depression were associated with a general measure of sleep problems (including difficulties going to sleep, waking during the night or early in the morning and nightmares), but not the length of time that a child was reported to sleep. The research team considered a few explanations for our results. We looked to see whether they could be explained by mothers feeling depressed after they’d had their babies, or because of other issues, such as drinking a lot of alcohol or living in crowded conditions, which might have led to problems. They could not. Instead, in pregnant women, exposure to the ‘stress hormone’ cortisol, released by the body in response to anxiety and depression perhaps had an effect on the developing foetus, which resulted in disrupted sleep. Such findings underscore the importance of obtaining professional help during pregnancy should mothers experience anxiety or depression. As we in the field have tried to make sense of genetic and environmental influences, we’ve found ourselves abandoning the notion of a simplistic nature-versus-nurture all-out war. In its place we’ve constructed a more nuanced appreciation that both nature and nurture are important, and what’s more – they interact. This is to say that genes are not separate from the environment. The genes we are born with may make us more likely to be exposed to certain aspects of the environment (such as being shouted at to go to bed) as well as our sensitivity to that (whether we give a damn about the shouting). Questions, techniques and understanding develop all the time. By the time I retire, the field will be unrecognisable from the one I am involved in today. When is there really a problem? Age is important when thinking about sleep too. A baby who sleeps through the night may be a parents’ dream, but if that baby is newly born this could be worrying. Certainly, small infants need to wake up: their bellies are tiny and without waking for milk they could become weak and dehydrated. Even older infants and children do not need to sleep for excessively long periods and doing so may at times suggest that there is a problem. Guidelines on how long people of different ages should sleep1,20 wisely incorporate the idea that one child’s need may differ from that of another. Perhaps there is a reason to move away from thinking of certain aspects of infants’ sleep as heroes and villains. There are understandable reasons why infants sometimes refuse to sleep when put down and left to their own devices. Certain theories focus on the need to feel safe in order to sleep, with the common idea that we can ‘sleep again’ after a threat is no longer present. It certainly is unwise to fall asleep if we don’t feel safe. Sleep makes us vulnerable – our vigilance is low and we are unlikely to spy a lion creeping up, the ceiling falling down or, more likely, an attack from a disgruntled older sibling. While infants will not be able to consider the complexities of environmental threats, resistance to being left alone might make good sense in this context. Similarly, the persistence and determination shown by a child who will resolutely refuse to follow a sleep- training schedule may be the same essence that makes that child go on to obtain a gold medal at the Olympics. Moving back to consider genetic research, the same genes that are associated with certain problems can also offer certain advantages. A high genetic loading for anxiety could mean that we are more likely to revise feverishly for exams, and could be useful from an evolutionary perspective, with certain people particularly attentive to, and aware of environmental threats. So perhaps a waking infant is not a bad thing. It is likely that children will stop waking us during the night at some point. In the same way that parents should be reassured that babies who become mobile and roll over later than others are likely to be able to achieve this skill at some point – why does it matter so much that it happened at three months or five? However, sleep also needs to be considered in the family context.A child’s sleep patterns and sleeplessness may not only affect that child, but also the parents, siblings and possibly even the neighbours too. A parents’ health is also important and it’s impossible to help a child if we ourselves are not OK.This was brought home to me clearly when talking to 38-year-old Thea, an accountant at a top London firm who decided to pack it in and move to the south of France to become a full-time parent. She did this with gusto and her home not only resembles a scene from a glossy magazine, but has even been featured in one. When each of her three sons was born, she fed them as they fell asleep and they co-slept throughout the night. However, Thea became ill with ulcerative colitis when her youngest son George was just a few months old and she had to leave the family home for urgent surgery. She was devastated at the thought of leaving George and felt that by not rocking and feeding him to sleep she was somehow letting him down. However, by the time she returned from hospital, her husband had managed to put George into what Thea described as a ‘perfect routine’. Although a somewhat dramatic example, families sometimes have to play a balancing act, considering the multiple needs and pressures of different members when considering an infant’s sleep. Different techniques can produce positive outcomes and even within a family parents sometimes tailor their approach to bedtime for different children. Feeding and cuddling a child to sleep each night is done with kindness and love, and is a choice for many. Others may consider that letting a child cry for a period can help them learn that they are able to fall asleep without intervention. So if it works best for a family to do what they can to encourage babies to sleep independently through the night, what are the best techniques? What are the options when getting a child to sleep? Once safety has been considered, what are the options for getting a child to sleep? One project I have been involved in, led by Dr Jodi Mindell, chair of the Paediatric Sleep Council, provides information at a freely available website (www.babysleep.com). Here, advice is collated from top paediatric sleep experts worldwide. Check it out if you are interested in infant sleep. Physicians, psychologists and researchers have answered hundreds of questions about sleep via video or text. You’ll find tips about bedtime routines, light and temperature, transitional objects, night weaning, naps, nappies, books, dummies, co-sleeping, listening to music at bedtime, and so much more. Understanding more about such things can be incredibly useful in helping to create a healthy sleep routine and this information alone can be enough for parents to feel they can cope with their baby’s sleep. But what if parents want further advice? There are other resources, and bookshops are piled high with advice on dealing with children’s weird and wonderful sleep patterns and problems. But which of these is the best? And what about when the advice conflicts? To answer such questions, it can be useful to consider what the science tells us. It’s sometimes argued that we can find a research paper to justify any argument and that’s true to an extent. Couldn’t a high-fat diet make us obese in the 1990s but quite thin in the early 2000s? Because of this, it’s always terrific when scientists spend months of their lives carefully reading and digesting all the available literature on a topic and sharing their findings. Over a decade ago, a task force appointed by the American Academy of Sleep Medicine did just this and looked at behavioural treatments for problems at bedtime and wakings during the night in babies and young children.27 The aim was to understand how best to manage these issues that are so commonly raised by parents in the clinic. They found strong evidence supporting the effectiveness of behavioural interventions, which were considered useful in reducing resistance at bedtime and wakings during the night in 94 per cent of the studies reviewed. Two techniques had the greatest empirical support for their aims, although other techniques received support, but to a lesser extent. The first technique to receive the greatest support can be used before a child is even born, to help the family think about the baby’s sleep once they arrive. This is parental education and involves letting parents know more about their children’s sleep and the options available to them to get into good habits and to deal with problems should they occur. For example, if parents are told to put their infant down for the night while they are sleepy but not actually asleep, the infant is more likely to learn from the very start to drift off to sleep without parental involvement. This can be useful not only when putting a baby to bed at night, but also during the night. Sleep cycles mean that people naturally stir during the night. If babies are able to fall asleep alone, they are less likely to need a carer to help them fall back to sleep if they wake up during the night. Learning signs that a child is sleepy doesn’t take long. A yawn might be an international sign of tiredness, but signs can also be unique. Whereas one of my sons twiddles his hair, the other rests his right hand on his left collarbone. The other technique that had the strongest empirical support for its effectiveness was extinction or what some refer to as ‘crying it out’. This is perhaps the most controversial technique. It involves turning off the lights at night and trying not to react to any sounds that might come from the child’s bedroom. That might include singing, giggling and laughing, but more realistically crying. The child may initially cry and shout, but eventually they learn to fall asleep alone. This ‘unmodified’ version of extinction is not recommended because of the stress it can cause to both parties. Of course, if parents do decide to follow this or similar approaches they shouldn’t forget that infants need to be fed during the night in the early months of life, so this approach is not suitable for the very young. In fact, while clinicians may offer advice on how to prevent sleep problems from developing in young infants, they are unlikely to suggest techniques to ‘resolve’ these problems in very little ones, such as those under six months. Extinction (including the modified version, such as having parents stay in the room) can be effective in bringing about its aims in older infants, but be warned: parents don’t always want to use this technique and some find it difficult to implement. Discussing this technique with a parent, I was told: ‘I tried this technique out of total desperation – and my daughter cried for ages before falling asleep. Then in the morning I found she was wet from head to toe!’ This is a good reminder that if using this technique we should always be aware of a child’s needs, checking that they are not ill, stuck in the cot rails, or needing a nappy change. Other behavioural techniques also received empirical support, although less so than the techniques described previously. One technique that is considered more palatable to some is graduated extinction. This is a similar technique, except that parents may keep checking on their children, but with less frequency and less engagement over time. So, even if a child is screaming we initially have to wait for a certain period of time (say five minutes) before we can go and see them. Once we leave them again we’ll have to wait for an extended period (say 10 minutes) before we can return. The next time we’ll have to wait even longer (say 15 minutes). A colleague followed this technique to the letter, entering the room to check on her children exactly on schedule. She sat outside their rooms wearing earplugs to avoid the stress of hearing her offspring cry. Plotting the data from this experience, she found that they took slightly less time to fall asleep each night ( just as we would expect if we were teaching an animal a new skill). After about a week, her children could be put down and would nod off without a fuss. Positive routines and bedtime fading are also considered useful techniques. The positive routine part of the method aims to create something enjoyable for the child, which hopefully they begin to associate with sleep. Unsurprisingly, the routines often suggested are relaxing – such as having a bath and a peaceful bedtime story. This makes sense, but life comes in all shades. I recall my own routine as a young child wasn’t so obviously soporific. My older sister and I would wait eagerly at the top of the stairs until we saw a darkened figure approaching the door. This would trigger a race down the stairs to be the first to cuddle my father upon his return from work. My father, having completed national service earlier in life, would jovially request a military salute before rewarding this obedience with an old army song while lugging one or both of us over his shoulder, up the stairs to bed. The exact routine employed by a family depends on many factors and will change over time. Slipping into ironed paisley pyjamas at 8 p.m. might be the perfect end to an evening for a schoolboy, but is not so ideal for a man at university trying to secure a partner. So, whereas there are differences between families, it is clear what the positive routine component of the method involves. But what about the bedtime fading? This involves calling time on bedtime struggles and just putting children to bed when they are tired.The idea is that if we don’t let babies compensate for their late bedtime by sleeping on into the morning, they will be tired earlier the next night and go to bed earlier, and so on. A consistent wake time is key and eventually babies will sleep at a time that is acceptable to us. Another technique involves scheduled awakenings. This may sound ridiculous to parents who have spent all evening trying to get their offspring to sleep, as it involves us waking them before we expect them to wake themselves. In other words, if children tend to go to sleep at 7 p.m., but then wake up at 11 p.m., we should wake them up before 11 p.m. and put them back to sleep. Beat them to the punch! The logic is that instead of them waking and making a fuss, we do it for them. We can then settle them back down to sleep without any drama. As to why behavioural approaches work, they all rest on learning principles that focus on the links between a stimulus and a response. They work on the idea of conditioning, where reinforced behaviour is strengthened and ignored behaviour dies out. If we cuddle our screaming children, they learn that if they cry they will be picked up. If we ignore them, they learn that their crying will not lead to a response and so eventually stop. Not everyone is comfortable with this idea though, arguing, for example, that we need to respond to a baby’s cries so that they know we are listening, rather than trying to discourage them from communicating in this way. Discussing this with Professor Sarah Blunden, head of paediatric sleep research at CQ University in Australia, she says: ‘The interesting thing about sleep training is that we expect a child – particularly a young child – to be able to differentiate the response they get at night (potentially ignoring) with that received in the day (wanting comfort for some other reason, perhaps pain or fear).’ Instead of ignoring, it is argued by some that parents should understand that a baby will need around-the-clock care for some time, and that they should perhaps accept this reality rather than try to change a child’s sleep schedule in line with their own needs. However, others consider this unfeasible, when up against a short maternity leave, a lack of social support and a busy full- time job. When considering sleep-training methods, parents sometimes worry that there might be negative consequences. Can their baby cope with the stress? Can they as parents? Will that strong attachment that they are so proud to have formed be obliterated? Acknowledging the significance of these questions for parents, Professor Michael Gradisar, director and clinical psychologist at the Child and Adolescent Sleep Clinic at Flinders University, decided to investigate. He told me: ‘Despite claims that sleep training caused attachment problems between parents and their children, there was no direct evidence supporting this. These claims were based on indirect evidence derived from children from deprived or violent living situations, or even animal studies (i.e. rats). We wanted to know what happens when supportive families do sleep training – are there benefits to their sleep, yet costs to their relationships?’ In a small study, Gradisar and his team asked parents to put their infants down to sleep using graduated extinction or bedtime fading. There was another group where parents were given sleep education but allowed to put their infants to bed how they liked.32 The families were then contacted a year later. The sleep training techniques seemed to work best: children in the graduated extinction and bedtime fading groups (but not the education group) drifted off more quickly than they had previously. It was reassuring that when researchers measured the stress hormone cortisol in the infants, they found that those in the sleep technique groups did not seem to have a serious increase over time. The key concern of many parents was whether their attachment with their child would be compromised or whether the children would develop problems with their behaviours and emotions. Both concerns seem to have been unfounded. There were no differences in secure attachment or child problems between the groups when followed up at the age of one. In a further study addressing the long-term implications of infant sleep intervention (provided when infants were seven months old), researchers from Australia assessed families multiple times until the infants were six years of age.33 Again, there was no indication of negative consequences of behavioural interventions for sleep for either the children or their parents (although of note, long-term benefits to sleep were also not reported as compared with those in the control group). In contrast to these reassuring findings, results from a further study caused some concerns. The study involved assessing the stress hormone cortisol in infants and mothers during a five-day sleep-training programme.34 There was initially synchrony between the cortisol levels of mothers and infants. After a period of sleep training, infants stopped crying when they were put down. However, their cortisol levels did not go down. By contrast, the cortisol levels of the mothers, who no longer witnessed crying infants, decreased, becoming out of line with those of their children. Not all agree that the results of this study are as problematic as they might first appear. Considering this work, researchers including Gradisar noted a number of issues with the research, such as the use of unmodified extinction (a technique that is not recommended, especially with infants as young as four months old).35 They also noted that the study did not show that the infants had ‘high’ levels of cortisol as there is a lack of normative data on this topic. In a game of academic ping- pong, some of the original authors of the work published a response.36 They agreed that their results did not yet have implications for policy or practice, but noted that their work raised important questions to be further studied. Reviewing the literature as a whole it is clear that further high-quality research is essential in order for parents to make their decisions. Guts to follow your gut? While we need to learn more, it seems that sleep training can result in little ones making less fuss at bedtime and being less likely to call out for their parents during the night. Some evidence also suggests that this training is associated with lower levels of maternal depression. Some concerns parents have about using these techniques may also be unfounded. But what about good old gut instinct? Some of what we have learnt to date suggests that if we want to increase our chances of having a child who will visit the land of nod without a song and dance, we should be willing to put them down and leave them to it. And, when sleep training, that sometimes means even if they cry. However, speak to the majority of parents and they will find this uncomfortable and in some cases agonising. They might refer to an intuition that this doesn’t feel right. So should we really ignore this instinct when it comes to sleep? To do so flies in the face of so much else that is taught about child rearing. Take a baby to the doctor when they are small and you might be told that ‘you should follow your gut instinct’. We are so often encouraged and praised for following our intuition. As to what this is, perhaps it is a reaction to evidence and something that has developed to help us survive. It is certainly useful in some cases. Gut instinct can be wrong too of course. One parent recalled how she had followed the sage advice received from her doctor and ‘followed her gut’, and was bright pink with embarrassment to admit she had called the emergency services following the first time her son had a bottle of milk and choked rather dramatically on it. He was of course fine. And how many of us would have missed out on our jobs if we’d followed our intuition and stayed at home instead of going to an interview? So perhaps ‘gut instinct’ is sometimes an emotional response rather than a balanced consideration of the evidence and should not always be followed blindly. We should be both thinking with our head and reacting to what our gut tells us in order to navigate the early parenting years. Dealing with sleep in infancy is not easy. Parents who have engaged in the modified extinction technique can be horrified that a holiday or a minor illness can entirely throw their schedule. Some worry that ignoring their children’s cries at night could teach their offspring that their needs will not be met and consequently disadvantage them later in life. And what about different folks, different strokes? It may suit one family to extinguish their child’s sleeplessness with a carefully hatched plan, but not others. One of my sons experienced occasional seizures during the night when he was small (something that has ceased over time) and that left me with an unhealthy neuroticism about his sleep. Nobody would advocate risking the safety of children by leaving alone those who need us by their side. However, once they are considered to be well and not at risk, those following sleep-training schedules are sometimes advised to let their child cry for a while so that they can learn to sleep without parental intervention. But this is not always easy. Many struggle to sleep-train their children, but what about those who don’t want to train their children? Perhaps they don’t mind, or even enjoy cuddling their children while they fall asleep – as was the case for Thea the ex-accountant. Should these parents worry about giving their children a disadvantage in life by not encouraging them to fall asleep alone? Will this set them up for a life of sleeplessness? Are our behaviour patterns really established when we are young so that the child is ‘father of the man’ when it comes to our sleep? Instead, parents might be comforted by the suggestion that sleep can be changed over time. They may want to provide assistance when an infant is young or sick or on holiday, but that does not mean that they can’t decide on a different approach later in their child’s development. Studies are only just beginning to systematically address questions that are so fundamental in helping parents to make their choices and there remain as many unanswered questions as answered ones. Thinking back to my appointment with the sonographer many moons ago, the reference to sleep now makes more sense. I had been all too aware of the scientific literature on sleep before that meeting, but I was clueless about the reality of dealing with a sleepless baby. Other parents were consumed by this topic and lamenting their own sleep loss too. There are important reasons why a baby wakes up during the night and many reasons to celebrate this occurrence. There are reasons why one child sleeps in a different way to another, and caregivers are unlikely to have done anything ‘wrong’ to bring this about. That is not to say that an infant’s sleeping pattern can’t be altered and, after considering safety, what is right for one family may differ from what is right for another. Our uniqueness is surely a reason to celebrate. 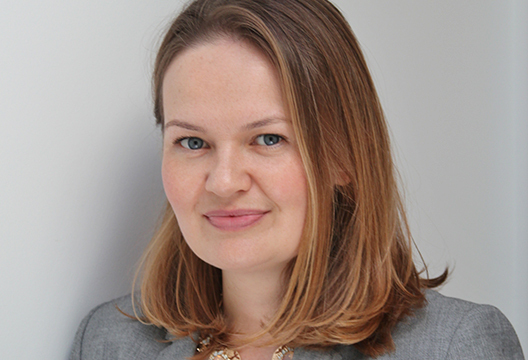 - Alice Gregory is Professor of Psychology at Goldsmiths University of London. 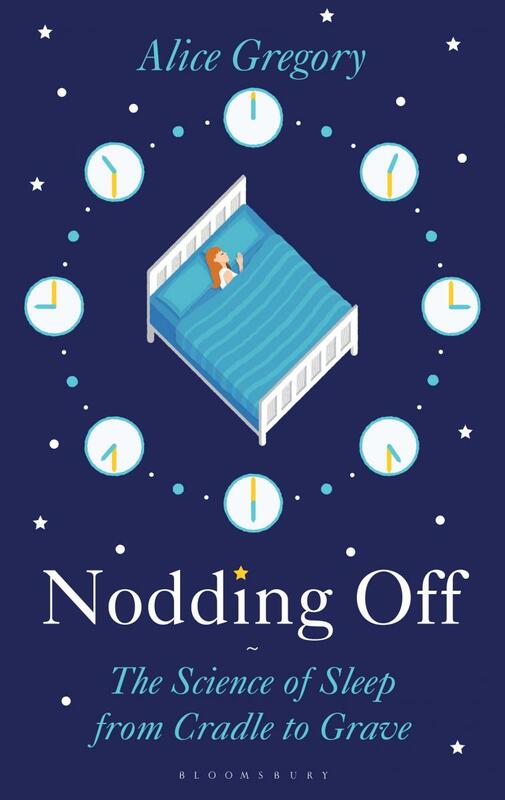 Nodding Off: The Science of Sleep from Cradle to Grave is published by Bloomsbury (£16.99). 1 Paruthi S., Brooks L. J., D’Ambrosio, C., et al. 2016. Recommended amount of sleep for pediatric populations: a consensus statement of the American academy of sleep medicine. Journalof Clinical Sleep Medicine 12:785–6. 2 Fifer, W. P., Byrd, D. L., Kaku, M., et al. 2010. Newborn infants learn during sleep. Proceedings of the National Academy of Sciences of the United States of America 107:10320–3. 3 Mindell, J. A., Sadeh, A., Wiegand, B., et al. 2010. Cross- cultural differences in infant and toddler sleep. SleepMedicine11:274–80. 4 Lee, K. A. & Rosen, L. A. 2012. Sleep and human development. Edited by Morin, C. M. & Espie, C. A. 2012. The Oxford Handbook of Sleep and Sleep Disorders. Oxford University Press, Oxford. 5 Mirmiran, M., Maas, Y. G. H. & Ariagno, R. L. 2003. Development of fetal and neonatal sleep and circadian rhythms. Sleep Medicine Reviews 7:321–34. 6 Engler, A. C., Hadash, A., Shehadeh, N., et al. 2012. Breastfeeding may improve nocturnal sleep and reduce infantile colic: potential role of breast milk melatonin. European Journal of Pediatrics 171:729–32. 7 Ferber, R. 2013. Solve Your Child’s Sleep Problems. Vermilion, London. 8 Marks, G. A., Shaffery, J. P., Oksenberg, A., et al. 1995. A functional role for REM-sleep in brain maturation. Behavioural Brain Research 69:1–11. 9 Dumoulin Bridi, M. C. D., Aton, S. J., Seibt, J., et al. 2015. Rapid eye movement sleep promotes cortical plasticity in the developing brain. Science Advances 1:e1500105. 10 Carnegie, D. 2006. How to Win Friends and Influence People. Vermilion, London. 11 Plomin, R., DeFries, J. C., Knopik, V. S., et al. 2013. Behavioral Genetics. 6th ed. Worth Publishers, New York. 12 Fisher, A., van Jaarsveld, C. H. M., Llewellyn, C. H., et al. 2012. Genetic and environmental influences on infant sleep. Pediatrics129:1091–6. 13 Barclay, N. L. & Gregory, A. M. 2013. Quantitative genetic research on sleep: a review of normal sleep, sleep disturbances and associated emotional, behavioural, and health-related difficulties. Sleep Medicine Reviews 17:29–40. 14 Marinelli, M., Pappa, I., Bustamante, M., et al. 2016. Heritability and genome-wide association analyses of sleep duration in children: the EAGLE consortium. Sleep39:1859–69. 15 Hammerschlag, A. R., Stringer, S., de Leeuw, C. A., et al. 2017. Genome-wide association analysis of insomnia complaints identifies risk genes and genetic overlap with psychiatric and metabolic traits. Nature Genetics 49:1584–92. 16 Mindell, J. A., Li, A. M., Sadeh, A., et al. 2015. Bedtime routines for young children: a dose-dependent association with sleep outcomes. Sleep, 38: 717–22. 17 O’Connor, T. G., Caprariello, P., Blackmore, E. R., et al. 2007. Prenatal mood disturbance predicts sleep problems in infancy and toddlerhood. Early Human Development83:451–8. 18 Wiggs, L. 2007. Are children getting enough sleep? Implications for parents. Sociological Research Online 12:13. 19 Friedman, U. 2015. How to snore in Korean: the mystery of onomatopoeia around the world. www.theatlantic.com/ international/archive/2015/11/onomatopoeia-world-languages/415824. 20 Hirshkowitz, M., Whiton, K., Albert, S. M., et al. 2015. National Sleep Foundation’s sleep time duration recommendations: methodology and results summary. SleepHealth 1:40–3. 21 Midgley, E. 2016. Cot death: how Anne Diamond helped save thousands of babies. www.bbc.co.uk/news/uk-england-berkshire-37908627. 22 Lullaby Trust. 2017. www.lullabytrust.org.uk/wp-content/ uploads/Facts-and-Figures-for-2015-released-2017.pdf. 23 Moon, R. Y., Darnall, R. A., Feldman-Winter, L., et al. 2016. SIDS and other sleep-related infant deaths: evidence base for 2016 updated recommendations for a safe infant sleeping environment. Pediatrics 138:e20162940. 24 Kreth, M., Shikany, T., Lenker, C., et al. 2017. Safe sleep guideline adherence in nationwide marketing of infant cribs and products. Pediatrics 139:e20161729. 25 Noack, R. 2015. Why babies should sleep in cardboard boxes, explained in 2 charts. www.washingtonpost.com/ news/worldviews/wp/2015/11/10/why-babies-should-sleep- in-cardboard-boxes-explained-in-2-charts/?utm_term=. bc3eadd66383. 26 BBC. 2017. Cot death charity raises doubts over baby boxes. www.bbc.co.uk/news/uk-40810110. 27 Mindell, J. A., Kuhn, B., Lewin, D. S., et al. 2006. Behavioral treatment of bedtime problems and night wakings in infants and young children – an American Academy of Sleep Medicine review. Sleep 29:1263–76. 28 Williams, S. E. & Horst, J. S. 2014. Goodnight book: sleep consolidation improves word learning via story books. Frontiers in Psychology 5:184. 29 Meltzer, L. J. & Mindell, J. A. 2014. Systematic review and meta-analysis of behavioral interventions for pediatric insomnia. Journal of Pediatric Psychology 39:932–48. 30 Hiscock, H., Bayer, J. K., Hampton, A., et al. 2008. Long- term mother and child mental health effects of a population- based infant sleep intervention: cluster-randomized, controlled trial. Pediatrics 122:e621–e627. 31 Hiscock, H. & Fisher, J. 2015. Sleeping like a baby? Infant sleep: impact on caregivers and current controversies. Journal of Paediatrics and Child Health 51:361–4. 32 Gradisar, M., Jackson, K., Spurrier, N. J., et al. 2016. Behavioral interventions for infant sleep problems: a randomized controlled trial. Pediatrics 137:e20151486. 33 Price, A. M. H., Wake, M., Ukoumunne, O. C., et al. 2012. Five-year follow-up of harms and benefits of behavioral infant sleep intervention: randomized trial. Pediatrics 130: 643–51. 34 Middlemiss, W., Granger, D. A., Goldberg, W. A., et al. 2012. Asynchrony of mother–infant hypothalamic– pituitary–adrenal axis activity following extinction of infant crying responses induced during the transition to sleep. Early Human Development 88:227–32. 35 Price,A., Hiscock, H. & Gradisar, M. 2013. Let’s help parents help themselves: a letter to the editor supporting the safety of behavioural sleep techniques. Early Human Development 89: 39–40. 36 Middlemiss, W., Granger, D. A. & Goldberg, W. A. 2013. Response to ‘Let’s help parents help themselves: a letter to the editor supporting the safety of behavioural sleep techniques’. Early Human Development 89: 41–2.